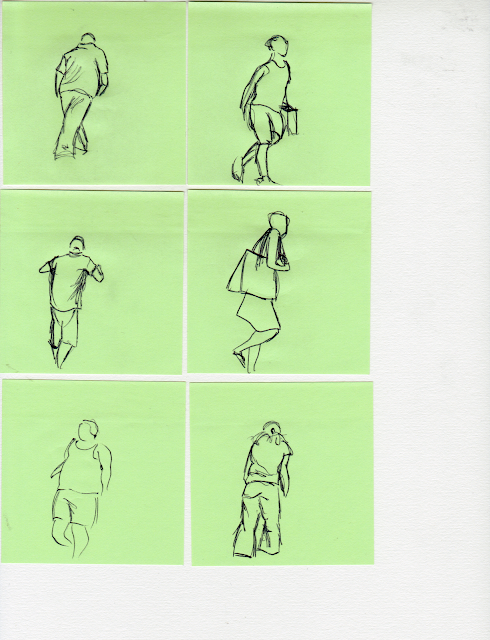 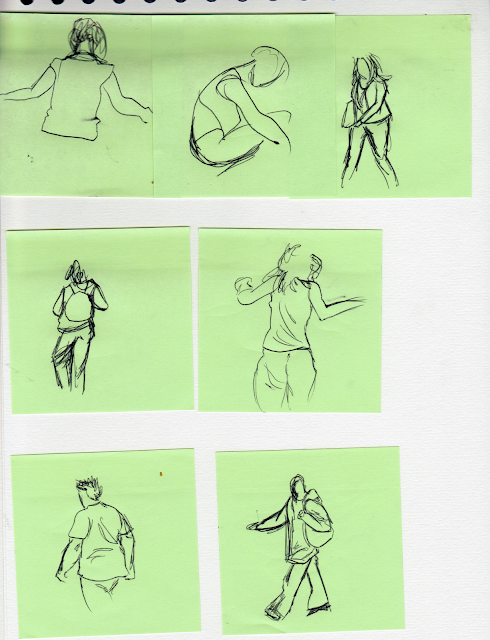 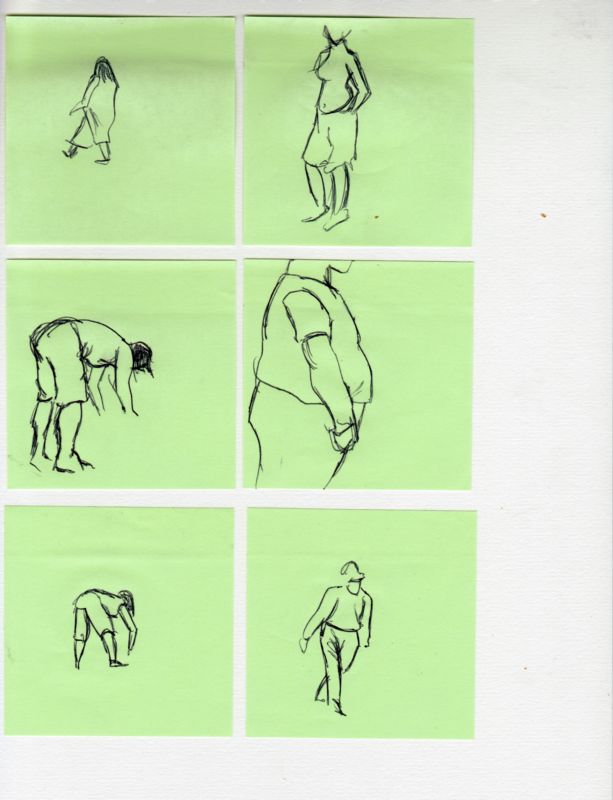 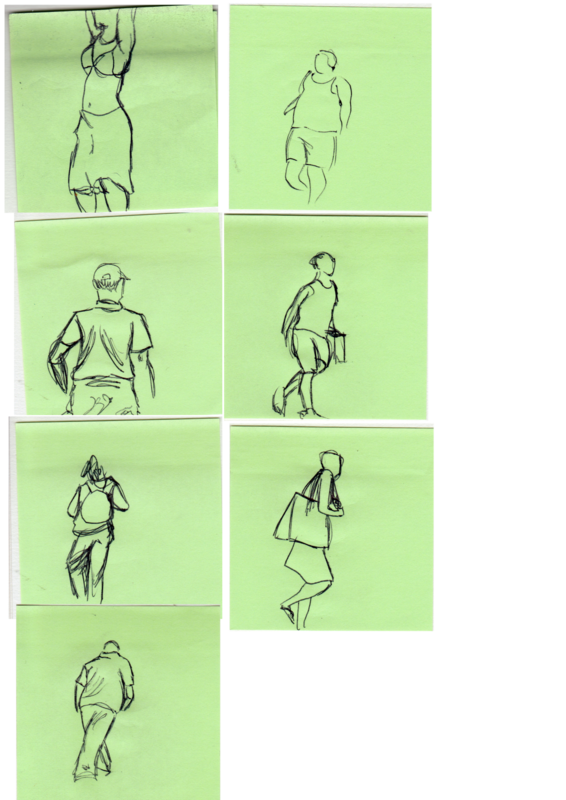 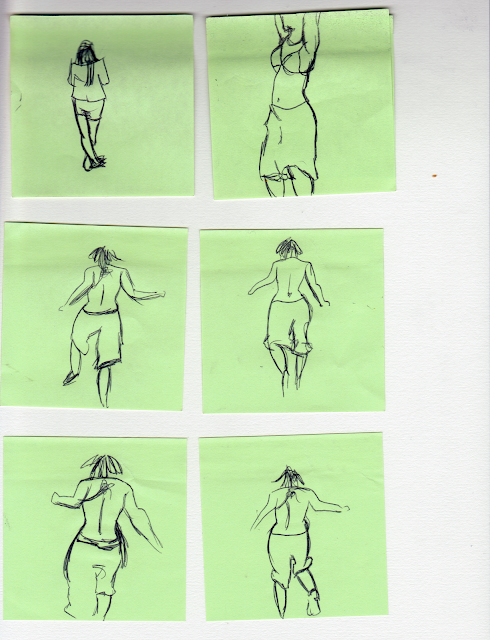 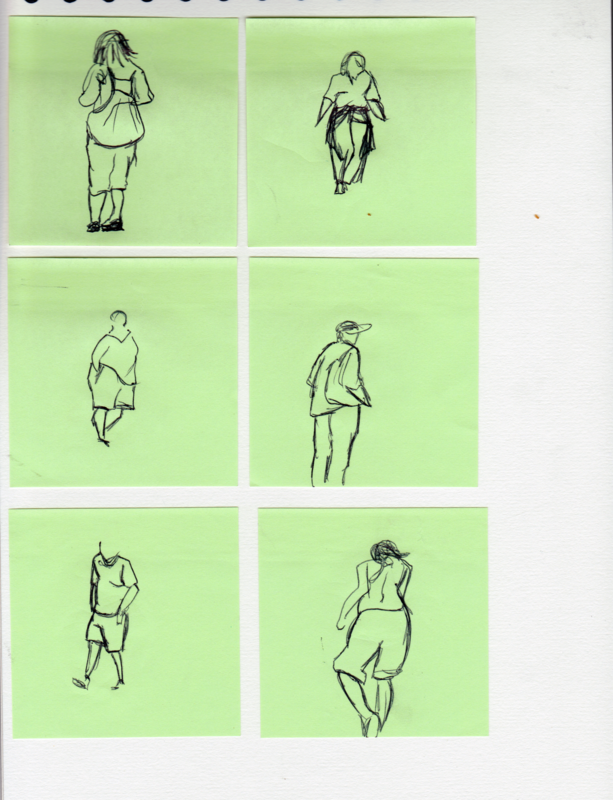 Here are the last batches of Post-it notes continuing on from the 7th Drawing post. 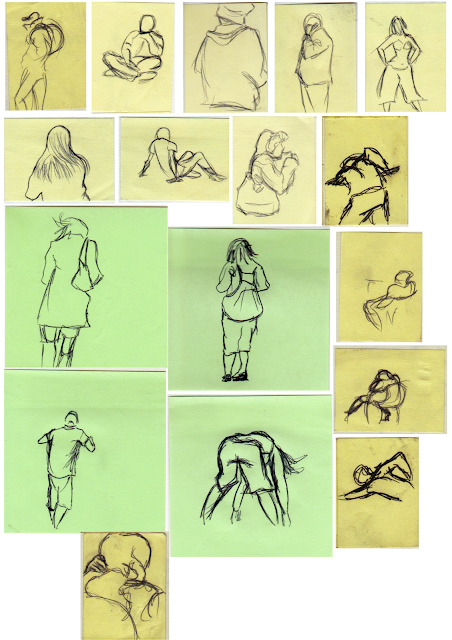 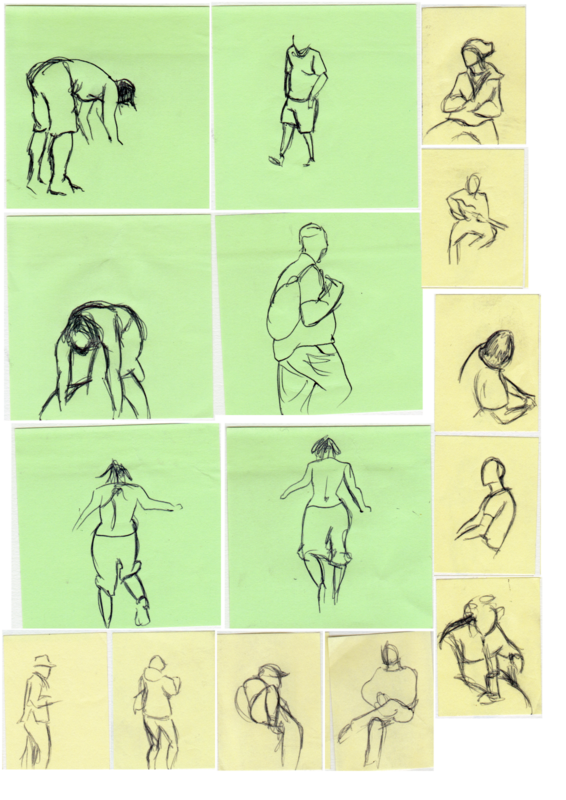 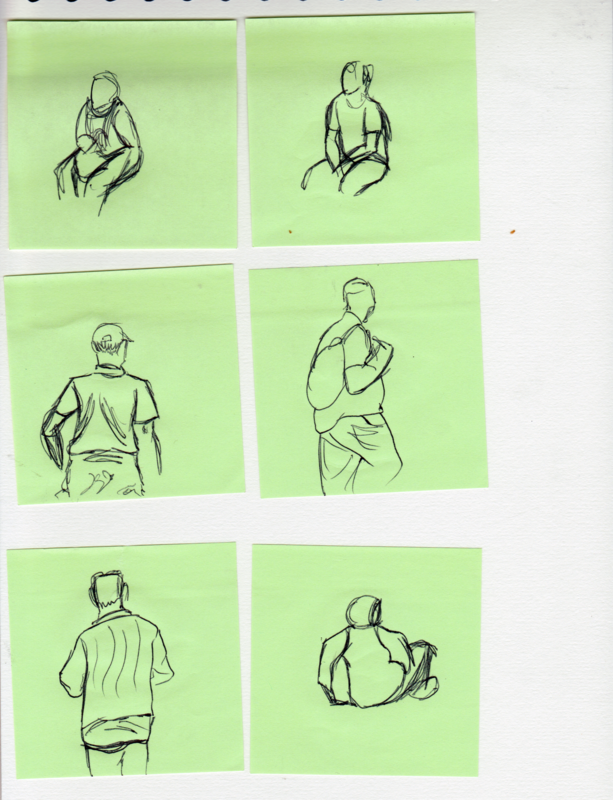 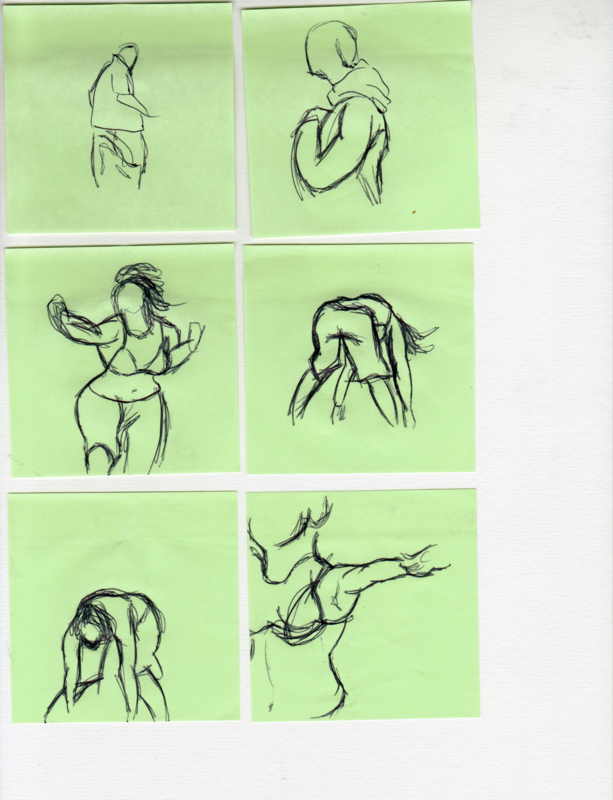 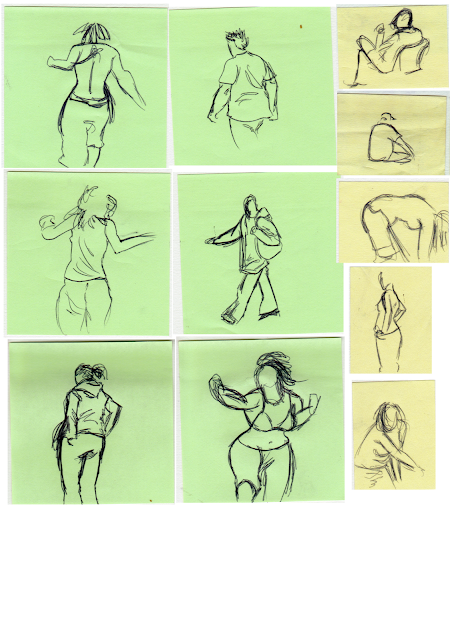 I have chosen the following drawings because I feel they captured the general essence of the person or pose I was studying and I think that the energetic lines I use to create my larger pieces have come through really well in these notes. 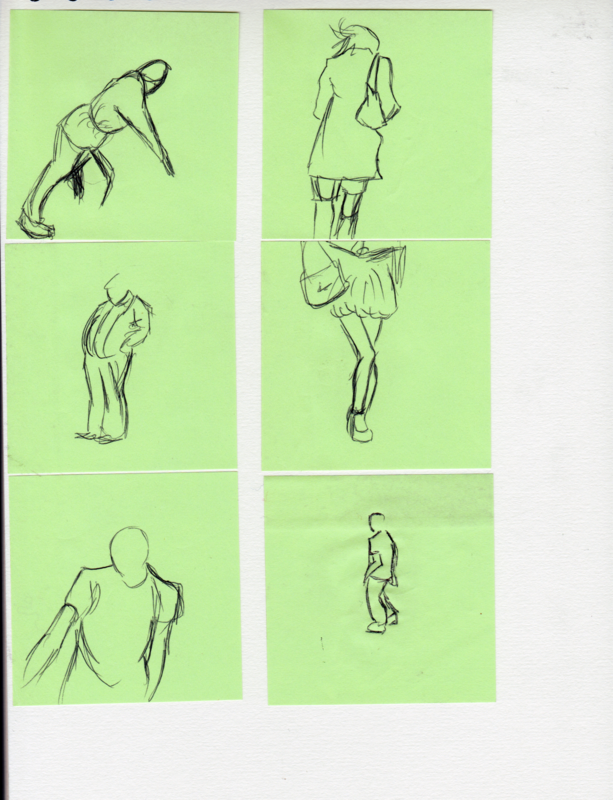 Overall I found this task to be challenging due to my lack of speed and the constantly moving models but I feel I have benefitted from doing it and it is a practise I hope to continue.